Khaleel Ahmed revealed that the bowlers were instructed to bowl back of the length to the Black Caps in the 2nd T20I. India won the second T20 International match versus New Zealand by seven wickets, and Khaleel Ahmed has revealed the strategy behind the Indian dominance. 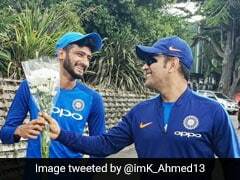 Khaleel Ahmed said that the Indian pacers were instructed to bowl back of the length to the Black Caps, which eventually helped them contain the boundaries. 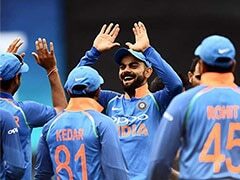 India levelled the three-match T20 series 1-1 with a seven-wicket victory at the Eden Park and Khaleel, who conceded 50 plus runs in his four overs in the first game, came back well to finish with figures of 2 for 29 in four overs in the second match Friday. In fact, India conceded 14 boundaries and eight sixes in the first T20 match while conceding only eight fours and six sixes at the small Eden Park ground. Asked about the visiting team's plan to contain boundaries, Khaleel said: "Because the ground was small, we deliberately bowled back of length to curtail boundaries. We had to shorten the length as conventional swing was not on offer. We showed a lot of improvement today and hope to improve further in the next game." Khaleel also spoke about the inputs given by skipper Rohit Sharma as the Eden Park ground has different dimensions and the angles are not like other grounds. "Rohit bhai told us about which are the areas batsmen will target and how to cut the angles," the Rajasthan speedster added. According to Khaleel, one of the major challenges encountered by pacers coming to New Zealand was bowling into the wind. "One difficulty that we face in New Zealand while bowling is running into the wind which is a rarity elsewhere. But then these are little little things that you learn and it's a great experience." The final T20 will be played in Hamilton and India had a nightmarish experience being bowled out for 92 in the fourth ODI in seamer-friendly conditions there. But Khaleel believes that things will be different during the final T20 on Sunday. "We have played in Hamilton and there won't be any surprise element as far as the pitch is concerned. Also having won the second game gives us confidence going into the final match. We have rectified some of our mistakes from first game and hopefully a few which are there will also be corrected," he said. While the batsmen didn't particularly enjoy the conditions in Hamilton, Khaleel is upbeat about the fact that the conditions will be bowler-friendly. "The last time we played at Seddon Park, the ball swung a lot and we had a batting collapse. I believe the final T20 will be a much more exciting affair. 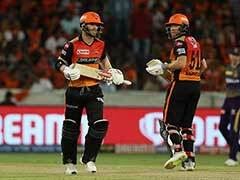 Normally, we are getting batting tracks and hopefully this will aid bowlers."